Rotterdam, with its riverside setting, is perfect for a long weekend away for those wishing to travel a little further afield. Enjoy a Harbour Cruise that will show you the beautiful sights of the city, explore the Euromast observation tower with the best views on offer, as well as time in The Hague to explore at your leisure. Travelling along the small waterways of the Den Bosch Canal Cruise, you can admire the finest spots of the historical city centre from above and below. The skipper-guide will tell you about the origins and the restoration of the walls, the underpasses and arches. 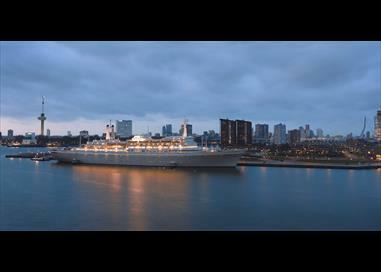 SS Rotterdam is considered one of the best hotels in the city where you get to spend the night in a unique setting. This beautifully renovated ship is an inspiring environment and you are guaranteed a wonderful time away from home. 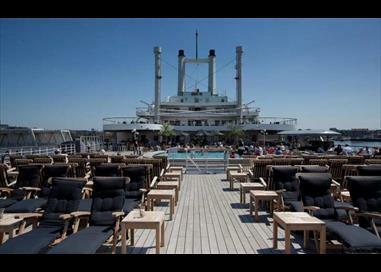 The authentic décor, original masterpieces and the elegant 1950s style is all part of the charm on board SS Rotterdam. Please note there is a Single Supplement of £126 per person.